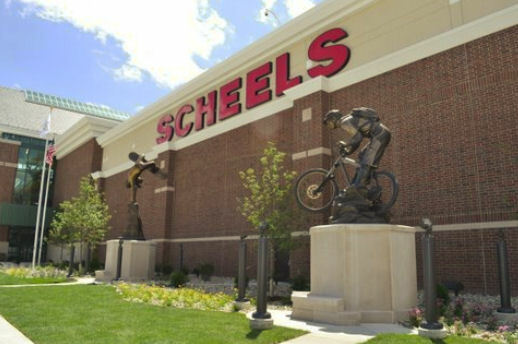 Explore over 80 specialty shops in the 220,000 sq ft SCHEELS store. SCHEELS offers shoppers the world's largest selection of sports gear, footwear, sports and high fashion apparel under one roof. From trend-setting boutique fashions to rugged outdoor gear SCHEELS has the top brand selections to outfit your entire family. Spend an hour... spend a day. 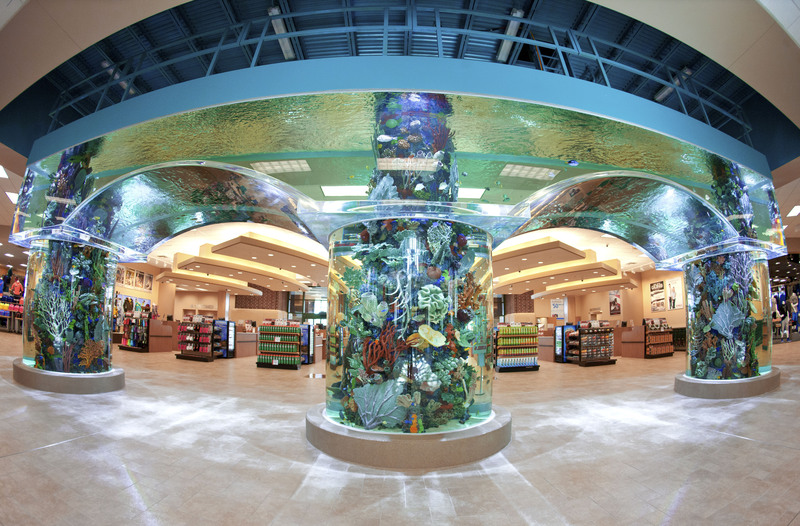 Attractions within the store include include life like bronze sculptures; a 16,000 gallon salt water aquarium at the main entrance; a 65 foot, 16 car indoor operating Ferris Wheel; the SCHEELS Home Décor & Gift Lodge; a shooting gallery; Golf Simulator, and SCHEELS Arcade. Visit Ginna's Cafe & Fudge Shop for a delicious lunch or to satisfy your sweet tooth with our homemade treats, including the best fudge in the USA, Starbucks® coffee, Italian gelato and ice cream delights. Don't miss the SCHEELS Fuzziwigs Candy Factory, featuring a variety of homemade chocolate treats, bulk candy and notstalic candy. 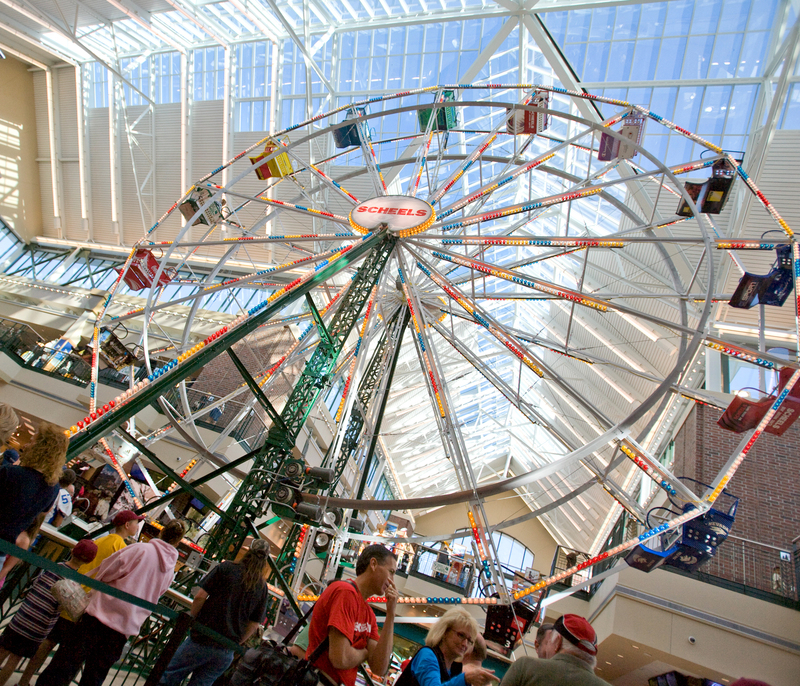 SCHEELS is a shopping adventure unlike anything you've ever experienced.